Lake Powell, the focal point of Glen Canyon National Recreation area, is situated in setting of deep canyons, rock outcrops and spectacular scenery. Formed by one of the world’s highest dams and the waters of the Colorado River, the lake stretches for 186 miles along the Colorado River channel, covers a surface area of 162,700-acres and boasts 1,960 miles of shoreline. Glen Canyon is so massive that the lake took 20 years to fill after the dam was completed. 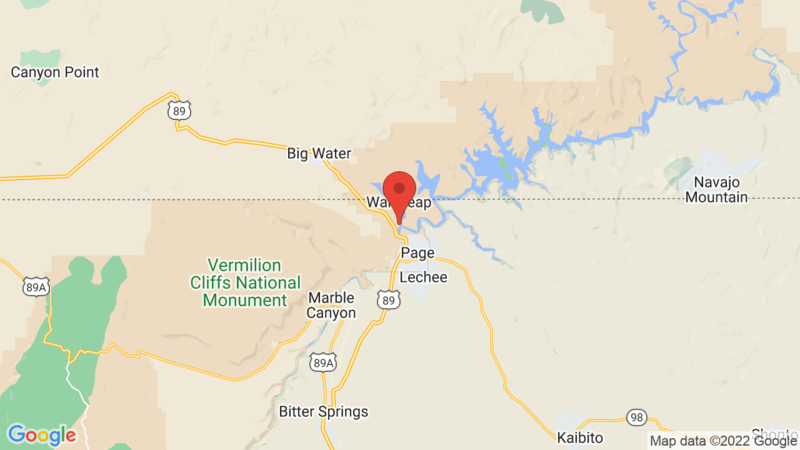 Wahweap Campground is located just off of 160,000 acre Lake Powell, named after Major John Wesley Powell, who led the team who explored the Glen Canyon, Marble Canyon and Grand Canyon in 1869. Local Activities include Colorado River trips down to Lee’s Ferry in Marble Canyon, Lake Powell boat tours, Dinner cruises, and on land there are several eateries, golfing, hiking, backpacking, horseback riding and other activities. Visted Lake Powell Wahweap Campground lately? We'd love to hear about your adventure. Did you find us useful? Did we forget something? Anything our community should know before heading out to Lake Powell Wahweap?